The chairman of a committee of MPs at war over Brexit has denied trying to use it to keep Britain in the EU indefinitely. Bitter divisions erupted after Leave supporters refused to back a report recommending extending the transition period and the exit date if necessary. Tory and DUP MPs forced the Exiting the EU Committee to publish rival proposals within the official text that was backed by the majority of members. 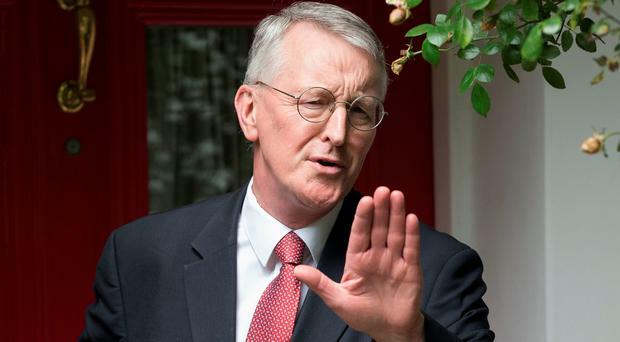 But Labour committee chairman Hilary Benn, a Remain supporter, denied trying to delay Brexit indefinitely. He told BBC One's Sunday Politics: "It is about this problem that we face. There are seven months to go until the Article 50 negotiations are due to end. There's a whole host of issues that haven't yet been addressed." Mr Rees-Mogg and four fellow Conservatives, along with the DUP's Sammy Wilson, refused to sign off the final version. They used parliamentary procedures to ensure a rare "minority" report was included in the main text. Brexit-supporting committee member Mr Rees-Mogg said: "The committee's majority report is the prospectus for the vassal state. It is a future not worthy of us as a country, and I am sure that Theresa May will rightly reject a report by the high priests of Remain."